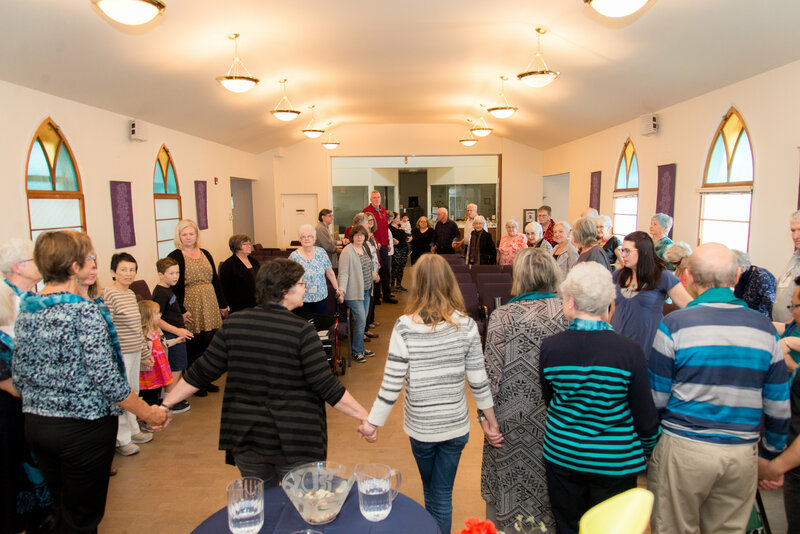 For years Unitarians living south of the Fraser River commuted either to Port Coquitlam or to Vancouver to attend a Unitarian Sunday service. In 1988 Rev. Brian Kiely, recently ordained by the Unitarian Church of Vancouver, undertook a demographic study to determine the potential for the establishment of a congregation south of the Fraser River. The first South Fraser Unitarian Congregation service was held on January 14, 1990, with Rev. Kiely serving as minister. On May 6, 1990, 45 charter members signed the membership book. Another 18 members signed the membership book that year. Rev. Brian Kiely served the congregation on a full-time basis. Initially startup funds were received from the Canadian Unitarian Council and the Unitarian Church of Vancouver. Even with strong initial growth, the congregation could not financially support a full-time minister. In 1994 Rev. Kiely was cut back to three-quarter time. Rev. Kiely resigned effective July, 1997 before departing for a full-time position in Edmonton. Since that time the congregation has been served either by a part-time minister, or lay led by the congregation while between ministers. Children and adult education program activity over the years has varied depending on the makeup and needs of the congregation. Social justice activity, important to SFUC members from the beginning, continues to depend on congregational resources and leadership. Over our quarter-century history, SFUC has demonstrated an ability to be resilient. Many members dream of growing our congregation’s outreach and effectiveness in disseminating liberal religious values. In May, 2015, SFUC celebrated our 25th anniversary with a fabulous worship service (pictured) and party. We look forward with faith and hope to an even better quarter-century ahead. You can find brief histories of the Unitarian and Universalist movements here and here.